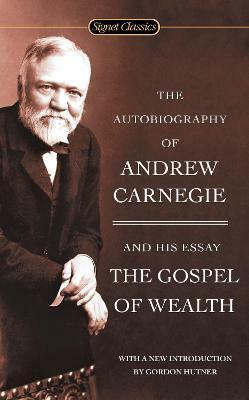 Andrew Carnegie emigrated from Scotland to the United States in 1848 at the age of 13. At the age of 65 he sold the Carnegie Steel Company to J. P. Morgan for $480 million and devoted the rest of his life to writing and philanthropy. Gordon Hutner is a professor of American literature at the University of Illinois. He is the author and editor of many books and articles about fiction, ethnic studies, and American cultural criticism. He also edits the scholarly journal American Literary History.